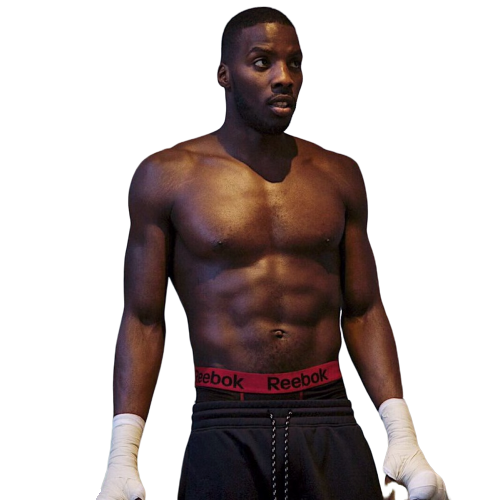 Lawrence Okolie (born 16 December 1992) is a British professional boxer. He has held the WBA Continental (Europe) cruiserweight title since February 2018 and the British cruiserweight title since September 2018. He previously held the Commonwealth title in 2018. Okolie is known for his long reach, excellent footwork and exceptional punching power. As of February 2019, he is ranked as the 8th best active cruiserweight by BoxRec. 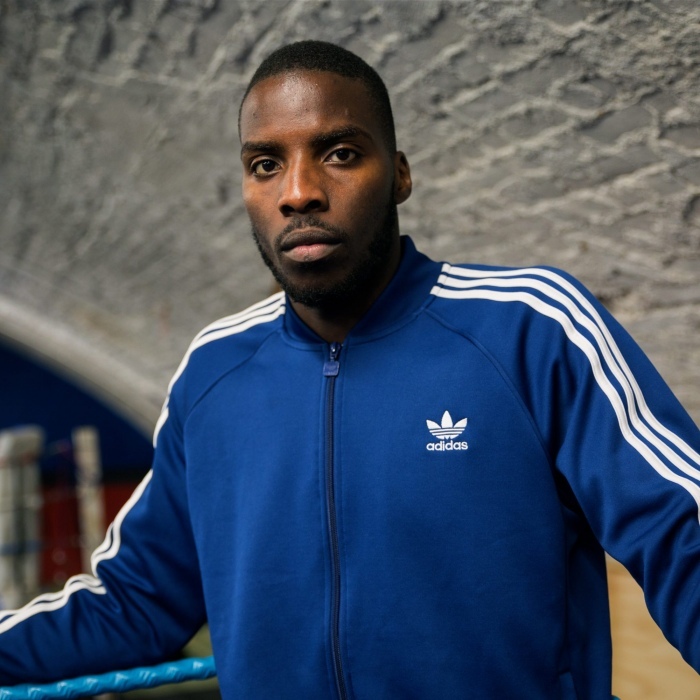 Okolie is from Hackney, London and attended Stoke Newington School. He was selected for Team GB in 2016 Rio Olympics. Fighting as a heavyweight, he beat Igor Pawel Jakubowski from Poland on points in the Preliminary Round of the Rio Olympics. He then lost to Erislandy Savon of Cuba. On 18 January 2017, Okolie announced he was becoming a professional boxer, signing with Eddie Hearn and Matchroom Sport and compete in the cruiserweight division. His first professional fight took place at the Manchester Arena in Manchester on 25 March 2017. It was on undercard of the world lightweight championship fight Jorge Linares vs. Anthony Crolla. His opponent was 33 year old Geoffrey Cave who had a record of no wins and two losses. The fight lasted 20 seconds and ended after Okolie landed two right hooks to the head of Cave. The referee stopped the fight immediately. His next bout took place in Glasgow, Scotland at The SSE Hydro on 15 April as part of the undercard of the world super lightweight unification fight Ricky Burns vs. Julius Indongo. He fought 35 year old Polish journeyman Lukasz Rusiewicz. Okolie knocked Rusiewicz down twice in round one en route to a first round stoppage. The time of stoppage was 2 minutes and 36 seconds. Okolie was scheduled to fight on the undercard of the mega heavyweight fight Anthony Joshua vs. Wladimir Klitschko on 29 April at the Wembley Stadium in London. On 25 April, it was announced that he would fight Russell Henshaw (7-4, 2 KOs), who he was supposed to fight on his debut. On the night, Okolie tweeted that he would no longer be fighting on the undercard. The reason for this was due to Wembley council having a curfew of 11:00pm and the main event was due to start at 10:00pm. The other fights on the undercard went longer than expected. 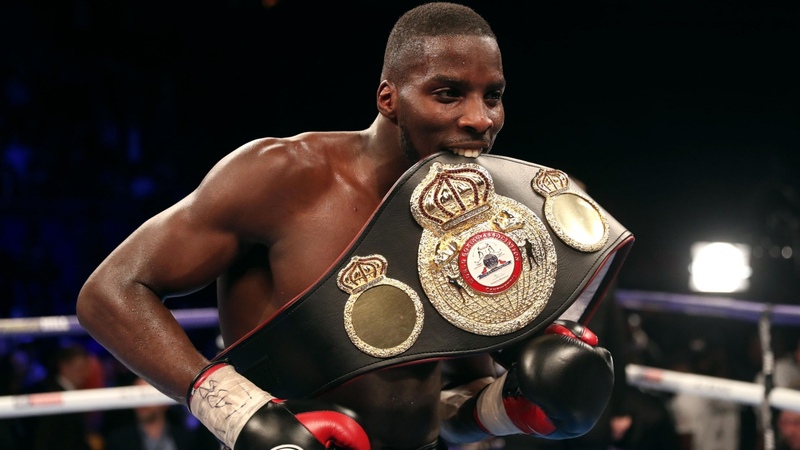 Okolie fought on the Brook-Spence Jr. IBF world title undercard at Bramall Lane in Sheffield on 27 May and knocked out Czech boxer Rudolf Helesic in the first round. Helesic was knocked down twice prior to the stoppage. On 1 July, Okolie recorded his fourth straight first round stoppage win against Russell Henshaw. The fight was stopped after 2 minutes and 10 seconds into the round. It was announced that Okolie would appear on the NXTGEN card on 1 September 2017 at the York Hall in London. Other prospects on the card included Conor Benn and fellow Olympians Joshua Buatsi and Joe Cordina. Okolie went the 6 round distance for the first time in his career against Blaise Mendouo. He lost one round on the referee scorecard, winning 59-54. Okolie was also taken past the first round for the first time in his professional career. In round 4, Mendouo was dropped following a big right hand. Okolie spoke to Sky Sports following the win and spoke about going the distance, "It was useful to go the rounds, but was tough against an awkward opponent. It was a little bit scrappy, I couldn't get the rhythm of my opponent. I knew that this guy would be a lot more difficult than some of the other cruiserweight prospects." 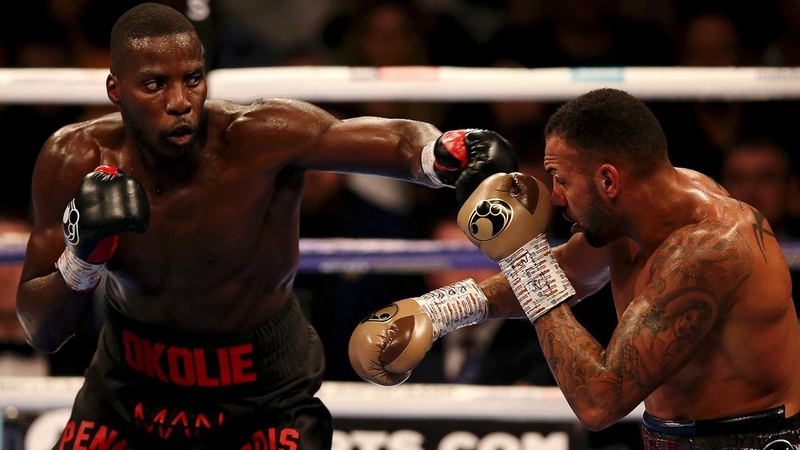 Okolie next fought on 28 October on the Anthony Joshua vs. Carlos Takam undercard at the Principality Stadium in Cardiff, Wales. His opponent was 36 year old Adam Williams. Okolie stopped Williams in the third round extending his unbeaten record. Okolie next fought on 13 December 2017, closing off his first year as a professional at the York Hall in London. His opponent was Portuguese boxer Antonio Sousa in a six-round bout. Starting off with a stiff jab, Okolie dropped Sousa twice in round one and twice in round two before the referee stepped in at 1 minute and 4 seconds. After the fight, speaking on rival Isaac Chamberlain, he said, "He and Ted Bami are two cowards! He's calling me his easiest fight, he's saying stuff online. Here's the fight in February, let's go." 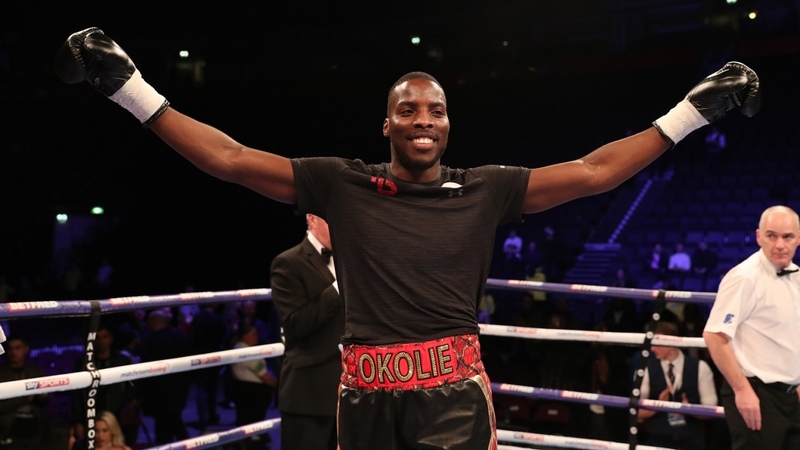 On 19 December, Sky Sports confirmed Okolie would fight London rival Isaac Chamberlain on 3 February 2018 at the 02 Arena. The fighters had been calling each other out on social media over the months before the fight was finally signed. In January 2018, the WBA sanctioned the fight for their vacant Continental cruiserweight title. In front of 8,000 fans in attendance, Okolie scored a quick knockdown in the opening round, en route to dominant one-sided unanimous decision win over Chamberlain and won the vacant WBA Continental title. In round 2, after being warned a number of times, Chamberlain was docked a point for continuous holding. In round 6, Okolie landed a right hand to Chamberlain, forcing his glove to touch the canvas for a second knockdown. Okolie also had a point deducted in round 9. After 10 rounds, all three judges scored the fight 98-89, 96-90 and 97-89 in favour of Okolie. After the fight, Okolie called out Welsh boxer Craig Kennedy (16-1, 8 KOs) for a fight on the Anthony Joshua vs. Joseph Parker undercard. The card averaged 230,000 viewers on Sky Sports. 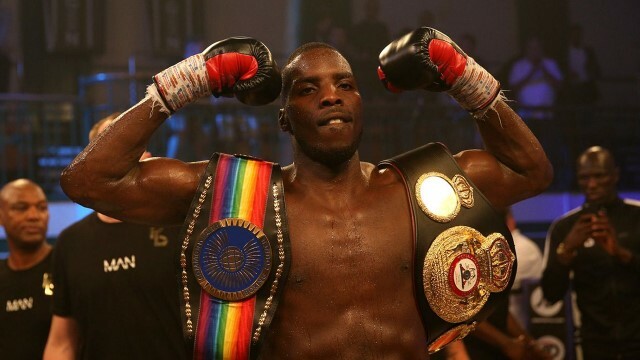 On 16 April 2018, Commonwealth cruiserweight champion Luke Watkins (13-0, 9 KOs) called out Okolie for a fight in the future. Nine days later, the Swindon Advertiser reported that Okolie's promoter Hearn had given the bout a green light to go ahead. On 26 April, a deal had been agreed for the fight to take place on Wednesday 6 June at the York Hall in London. Okolie dropped Watkins twice on his way to a third round stoppage victory. Referee Michael Alexander stopped the fight at 1 minute, 40 seconds of the round. After the bout, promoter Hearn stated the Commonwealth mandatory challenger Wadi Camacho (20-7, 12 KOs) would likely be Okolie's only title defence before moving on to the British and European titles. On 12 July 2018, the BBBofC ordered for Matty Askin (23-3-1, 15 KOs) to make a mandatory defence of his British cruiserweight title against Okolie by the end of November 2018. A purse bid was set for 8 August. On 7 August, Eddie Hearn announced the fight was confirmed and would take place on the Anthony Joshua vs. Alexander Povetkin undercard on 22 September at the Wembley Stadium in London on Sky Sports Box Office. Prior to the fight being made, Okolie vacated the Commonwealth cruiserweight title. In what was described as an 'ugly fight', Okolie defeated Askin via unanimous decision to claim the British cruiserweight belt. The final scorecards read 116-110, 114-112 and 114-113 in Okolie's favour. Okolie lost a total of three points in fouls. During the middle rounds there was a lot of holding and wrestling. Okolie began using his head on the inside which resulted in him losing points.